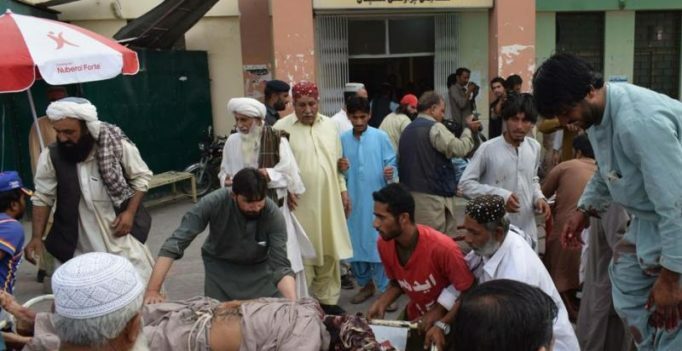 Quetta: A suicide blast ripped through a crowd at a political rally in southwest Pakistan Friday killing 128 people and wounding 150, officials told AFP, in one of the deadliest attacks in the country’s history. One political worker, Salam Baloch, said he heard a “deafening blast” and saw a “thick grey ball of fire and smoke”. “People put… bodies and the injured in rickshaws and other vehicles and rushed them to hospital before rescue officials arrived,” he added. The attack was the most lethal since Taliban terrorists assaulted a school in the northwestern city of Peshawar in 2014, killing over 150 people, mostly children, and one of the deadliest in Pakistan’s long struggle with terrorism. The politician — Akram Khan Durrani, a candidate of the Muttahida Majlis-e-Amal (MMA) party — survived, police said. No group has yet claimed responsibility for that attack. ISIS has a muted presence in Pakistan but has carried out brutal attacks there in the past, including the blast at a Sufi shrine in February last year which killed nearly 90 people. 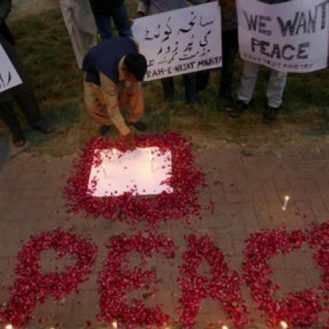 Terrorists have targeted politicians, religious gatherings, security forces and even schools in Pakistan. Analysts warn, however, that Pakistan has yet to tackle the root causes of extremism, and terrorists retain the ability to carry out attacks. “The Pakistani authorities have a duty to protect the rights of all Pakistanis during this election period — their physical security and their ability to express their political views freely, regardless of which party they belong to,” said Omar Waraich, deputy South Asia director at Amnesty International. Here’s when Sanjay Dutt, Pooja Bhatt starrer Sadak 2 will release, but is Alia in it?